Made of high quality acrylic these pirate gems will add a touch of magic and adventure to your pirate party. Each one measures around 1 inch. They are lightweight yet will sink in water. Fun and brightly colored pirate gems are sure to get your fellow shipmates in the swing of things. Ahoy Me Hearties! Add a touch of magic and adventure with these swashbuckler jewels. Ideal for parties, games, treasure chests, favours, or theatrical props, these fun and colourful pirate jewels are a great way to launch your pirate party, and to get all your fellow shipmates in the swing of things. These high quality, pirate jewels are made from acrylic, they sink in water, and each one measures around 1 inch. Use them in a treasure hunting game; your buccaneers will love collecting, and then stashing their loot. Description: Made of high quality acrylic these pirate gems will add a touch of magic and adventure to your pirate party. Each one measures around 1 inch. They are lightweight yet will sink in water. 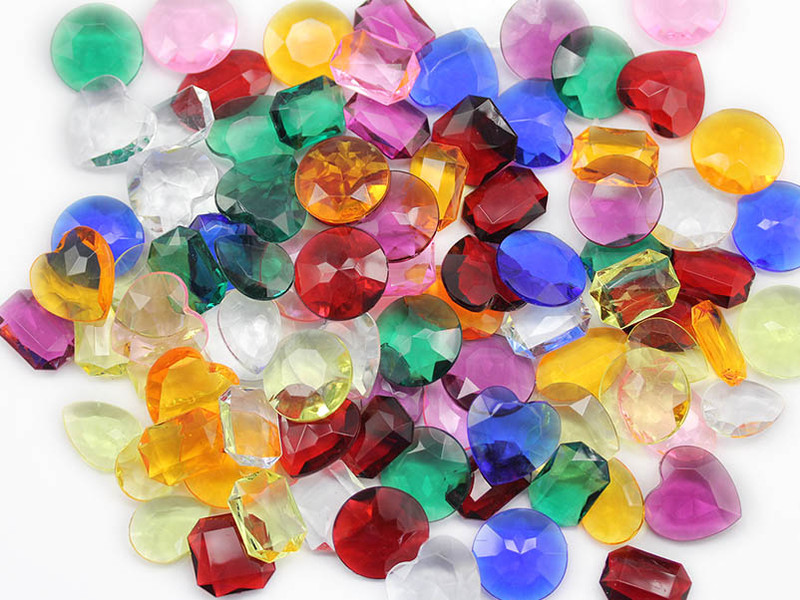 Fun and brightly colored pirate gems are sure to get your fellow shipmates in the swing of things.